I served my apprenticeship as a mechanical engineer, then worked my way through a number of industries finishing in aerospace, before being a trainer for the past ten years. I started riding at 14 and got an FS1E at 16, before a new RD 200 DX at 17. I’ve since had an Aprilia RSV Mille 1000 R, Buell 1125 R, Kawasaki KE175, Ducati Pantah 500, a bobber with a Harley Sportster engine, a number of bikes used for European tours, a Kawasaki Vulcan 800 Drifter, a Honda VFR800 VTEC and a BMW R1200GS Adventure. Like Paul Greenhalgh in MSL’s February issue, I was struggling to find a bike that was perfect for me. I loved my GS – on the move it was effortless, but the final straw came on my annual visit to the TT – getting on and off the boat with luggage highlighted just how much of a challenge it was. 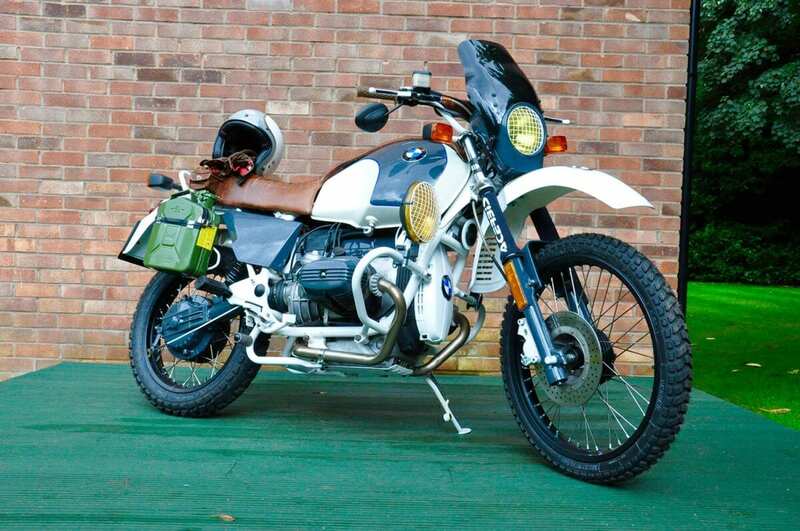 I replaced her with a BMW R1200R Classic, but found myself pining for the Adventure’s styling, so started looking into the history of the GS range. 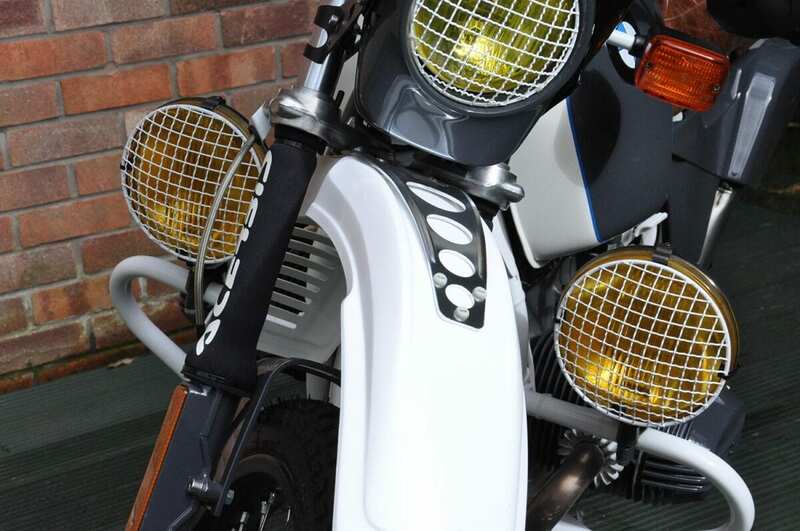 The early models seemed to have been designed with the focus on simplicity and agility – the engine sizes, whilst smaller, provided plenty of poke and the ground clearance allowed you to take the bike over any terrain. I loved the simplicity and wanted to build the type of GS that I could use on a daily basis. My bike would have to be functional yet finished to a high standard, built on a limited budget (because that’s all I have) and should not involve any frame cutting or welding. 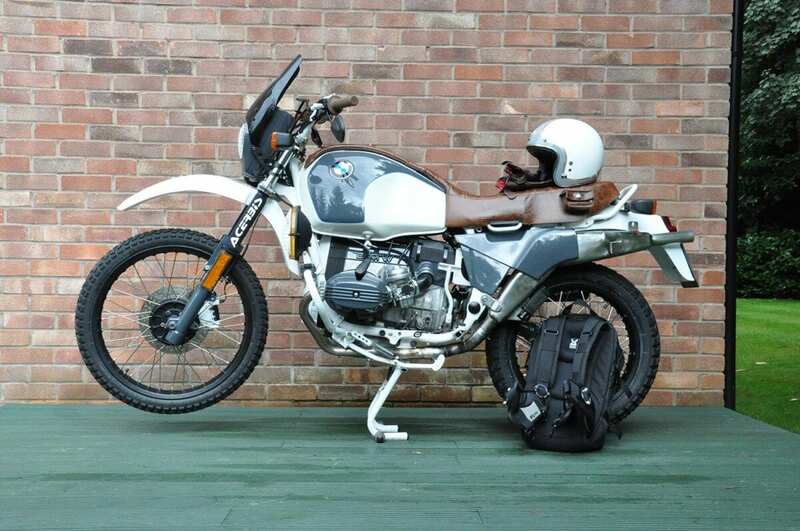 Following a little haggling, I got an R65GS for £2300. The previous owner had used it for green-laning, so it had its fair share of knocks and scratches, but no bends in the bars or frame, and no oil leaks. The engine was sound (it had the usual BMW knocks and rattles), but having owned a couple of BMWs before, I was confident. When ordering parts from Motorworks, they made me aware that these models are quite rare, so I decided I would alter its looks and feel, but keep the angle grinding and welding to a minimum, just in case a future owner might want to restore it. I had enjoyed the riding position of my GS, and this early model had the same seating with none of the top-heavy weight distribution. I think I made the right choice. So far I’ve not put many miles on the bike yet, but my girlfriend likes the reduced seat height compared to the gymnastics required to get on the GS. 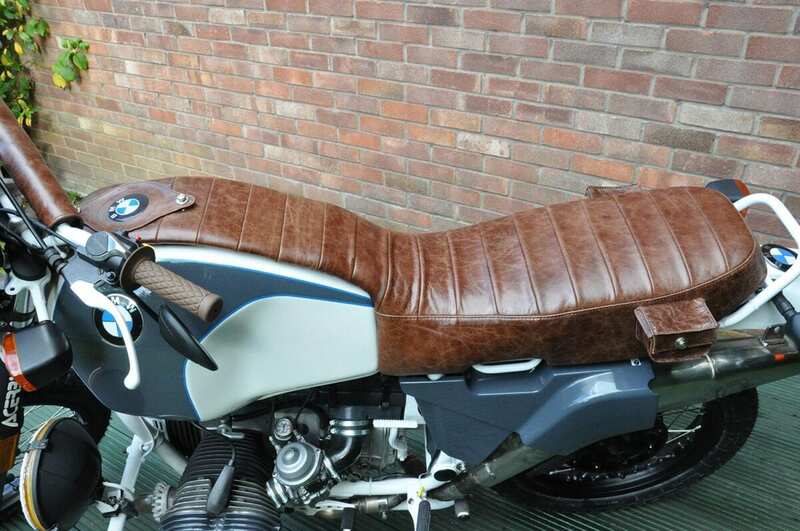 I’d perhaps fit a stiffer rear spring, but I suspect it will mostly be ridden solo with soft luggage over the saddle, and for that it’s perfect. The bike had an aftermarket stainless exhaust system that was in great condition except for a hole through the back box. But its design meant you could not use the original (and very graceful) stand that fits to the crash bars. 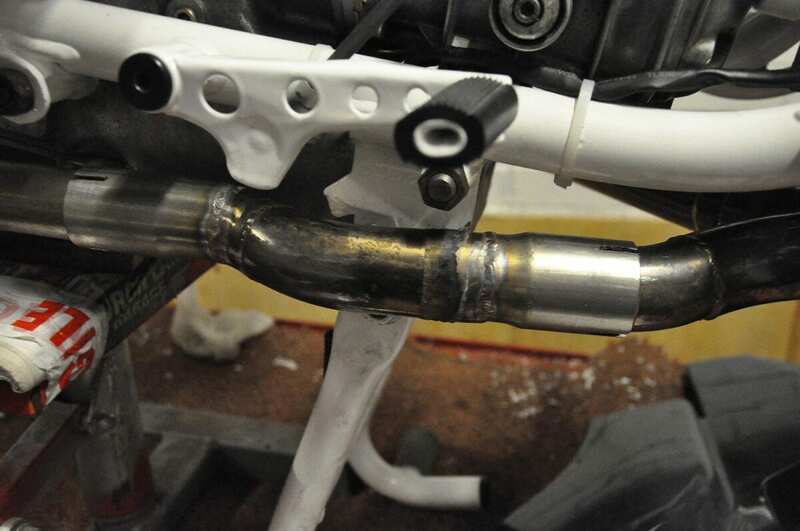 Two stainless steel ‘S’ shaped adapters were cut and re-welded to allow the exhaust to move past the stand. 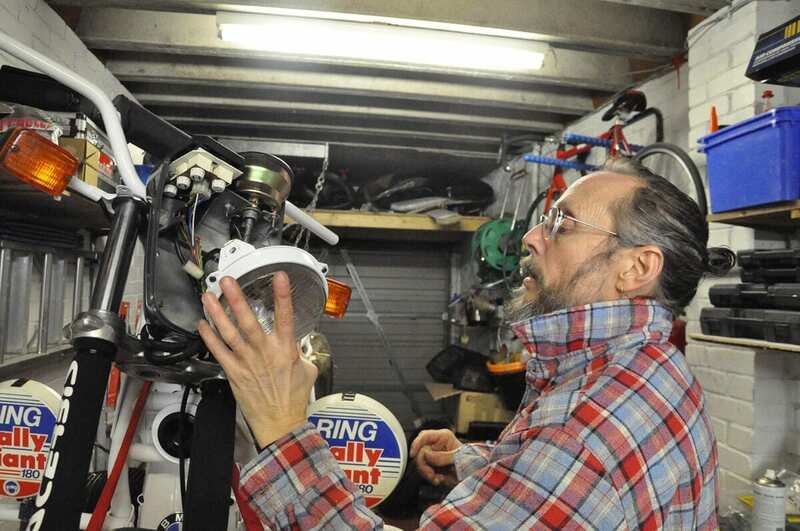 The hole was also patched and, once polished, the exhaust joined the pile of parts from the stripped bike, most of which were then sent for powder coating, painting and finishing. The carbs and petrol taps were sonic cleaned, while the rear shock was functionally good, so was simply stripped, painted and reused. The front forks were stripped, with new seals and new fork oil. The bearings in the drive and swingarm were in good condition, and the rear brake was stripped and rebuilt. The rims were powder-coated then reassembled with new spokes and bearings. I removed all the sheathing from the loom, along with any unused wires and dodgy connectors before re-soldering and shrink wrapping, then re-wrapping with loom tape. 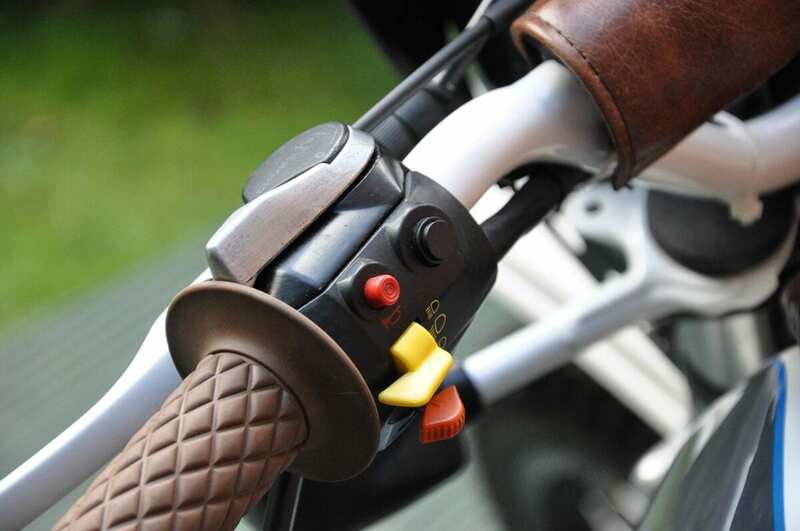 I didn’t want any ugly extra switches on the bars for my auxiliary lights, so fitted a push-switch into the blank space on the left switch block. I had a friend build a logic board that would operate the lights; first push lights on, push again lights off, and linked to the ignition switch to ensure that when the ignition is turned off the lights will go out and then not come on when the ignition is turned back on. 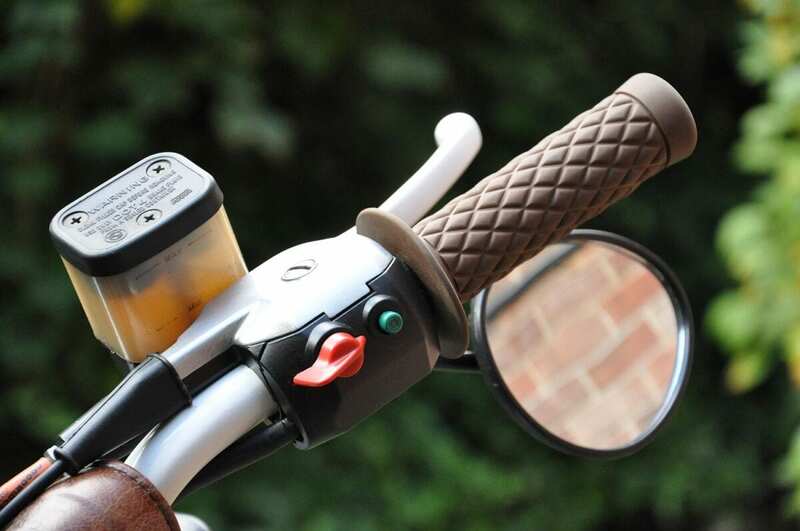 I liked the idea of the saddle running up the entire length of the tank with a cover for the petrol cap. I sketched out what I wanted and had it trimmed in brown antique leather. 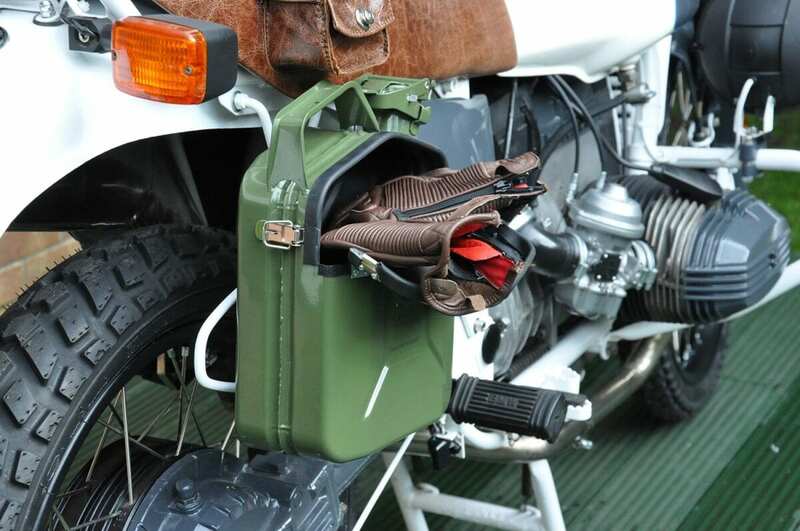 I couldn’t find a pannier that I felt complimented the look of the bike, so constructed my own from a five-litre fuel can – it fits solidly and locks closed. 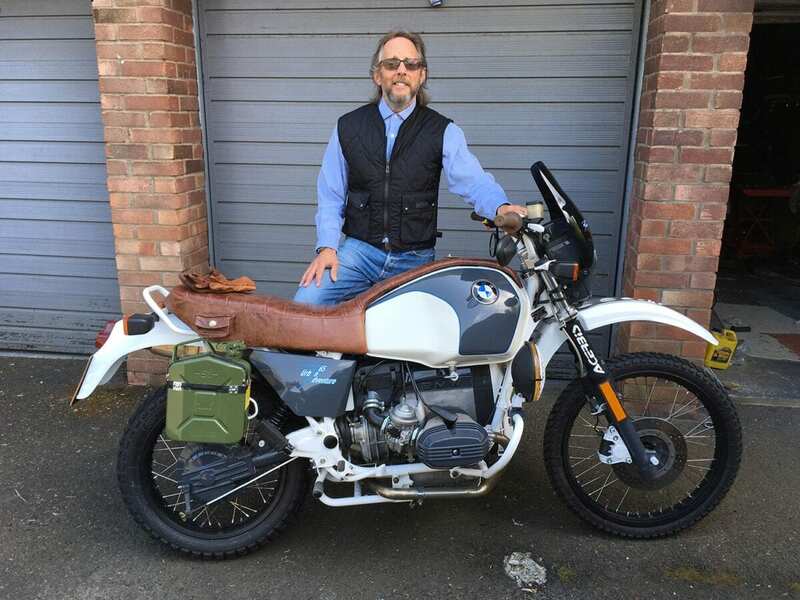 General impressions: It’s the bike I always wanted – the style of an R1200GS Adventure, but without being so top-heavy.